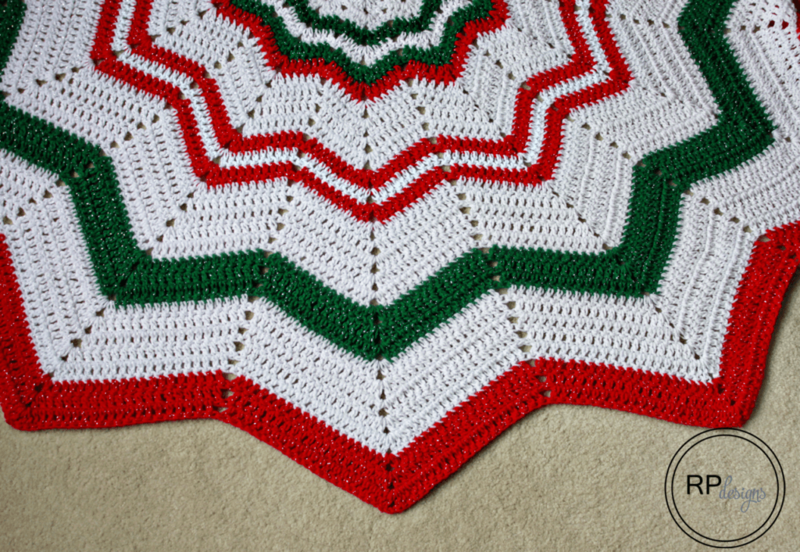 I loved how the ripples looked with the red, green and whites, but I also think this tree skirt would be beautiful in all one color. 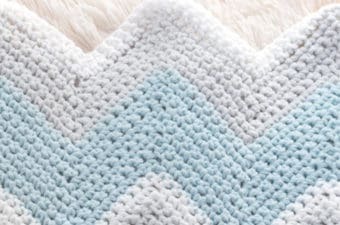 I can imagine this in a pretty gold or sparkly white color! 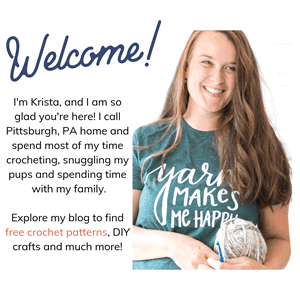 If you are ready to get started then click the link below to start crocheting your very own tree crochet skirt! 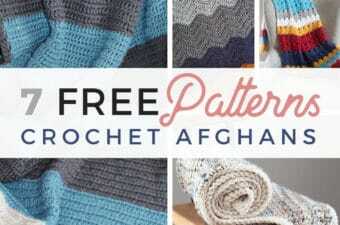 You can find the free pattern here from SmoothFox. 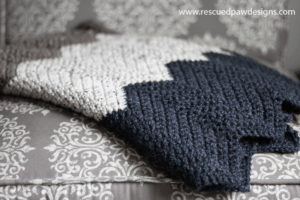 FIND IT ON RAVELRY TOO! 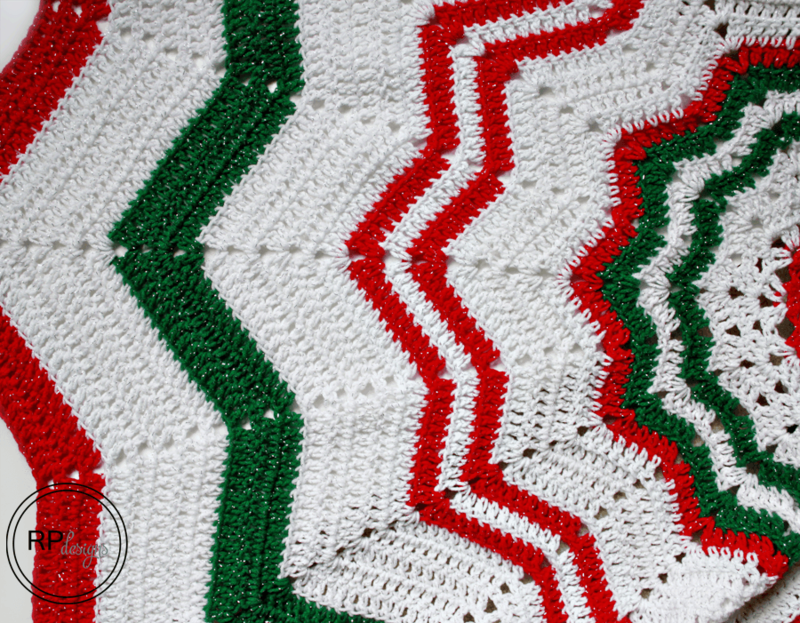 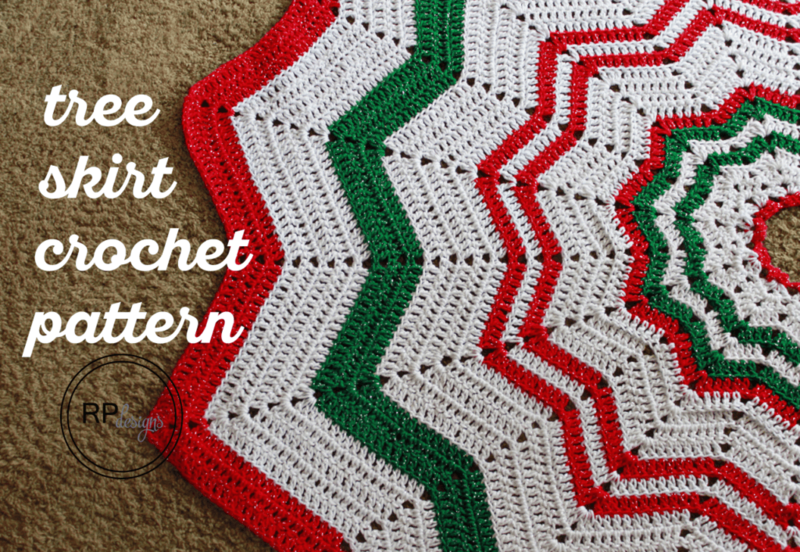 Again, you can find the free Crochet Christmas Tree Skirt Pattern from SmoothFox on Ravelry! 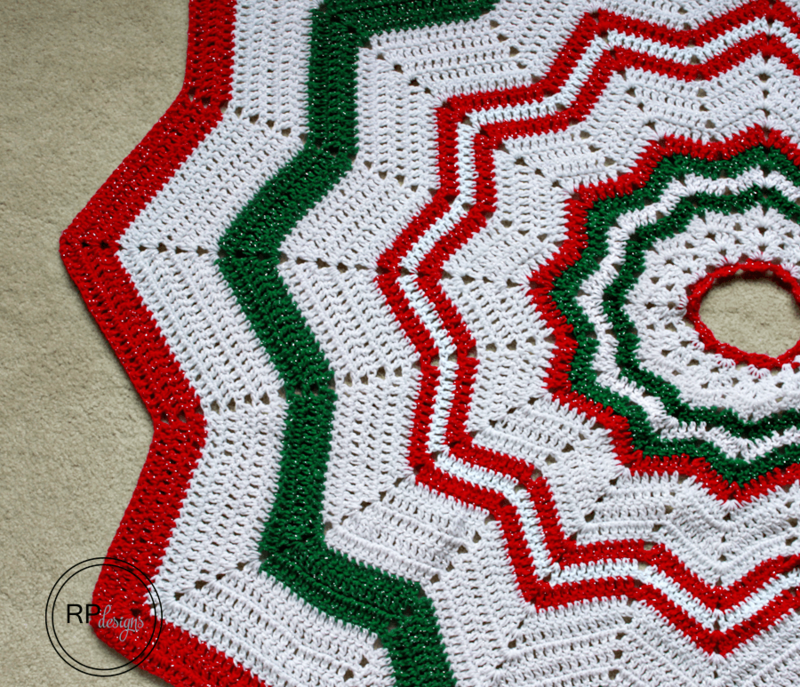 I hope you liked my finished tree skirt pictures and thanks for stopping by! 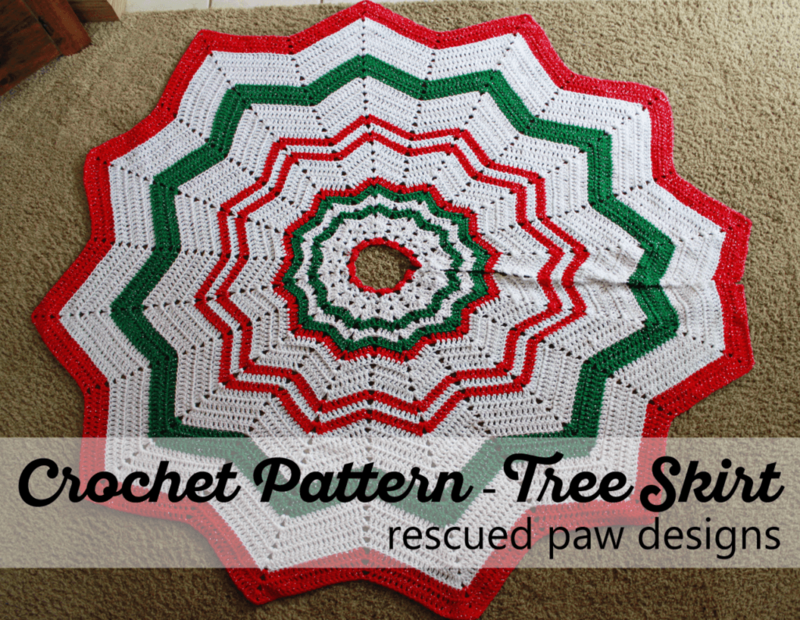 Beautiful tree skirt but u can’t download it. 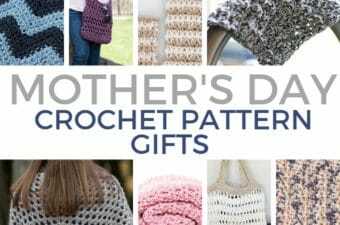 Tried several times without sucess.